What Does Phlebitis Look Like? Phlebitis is a condition in which a vein, or several veins, become inflamed. This inflammation occurs when there is a blot clot in the vein. This condition most often affects the legs, but it can affect the arms as well. 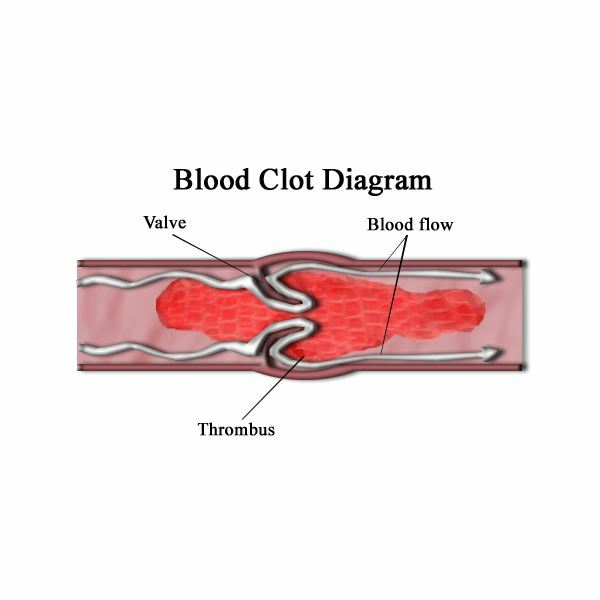 The clot, also referred to as a thrombus, causes irritation and pain and may cause a blockage of venous blood flow. This condition can affect the deep veins and the superficial (surface) veins. Patients, especially women, should be aware of this condition. The best way to help yourself is to be able to answer the question: “what does phlebitis look like?" This condition can be caused by a medical procedure complication or it can occur spontaneously. Local injury or trauma to a vein can also result is this condition due to an increase in the risk of a blood clot forming. Certain patients are also at a higher risk of developing this condition. Risk factors include prolonged inactivity, varicose veins, sedentary lifestyle, injury to the legs or arms, obesity, pregnancy, smoking cigarettes, birth control pills, hormone replacement therapy, and certain medical conditions, such as blood disorders and cancer, that increase the risk of blood clotting. So, what does phlebitis look like? Veins that are closer to the surface of the skin, particularly superficial veins, may look reddish-blue in color and may appear larger than they normally are. The affected area may become swollen, warm to the touch, and appear red. There may be a thin, long red line in the affected area traveling the path of the inflammation. The deeper veins often cannot be seen, but they are considered far more dangerous. The symptoms of superficial veins include itching, infection, burning or throbbing, tenderness and soreness, pain, and a low-grade fever. The patient may notice her symptoms are worse when she first gets out of bed in the morning. The symptoms of deep veins include redness, swelling, warmth, and pain in the affected area. In some cases, the swelling and pain may affect the entirety of the affected limb. Some patients may experience no symptoms and many of the superficial vein symptoms also apply to the deep veins. Once a patient begins to experience symptoms, they should contact their physician. The doctor will first examine the affected area, ask the patient about her symptoms, and perform a physical exam. Blood tests are often ordered to determine whether or not a blood clot is present. The blood test is called a D-dimer and it will tell the doctor if the patient has a blood clot, but it cannot tell the doctor the location of the blood clot. If a blood clot is present, the doctor will send the patient to have an ultrasound to find the blood clot. This imaging test is non-invasive and relatively painless. Prevention is the best treatment method, especially for patients with a history of phlebitis. Patients should avoid the risk factors and try to be more active. Prescription compression stockings, for the legs, can be beneficial in alleviating swelling and pain, as well as improving blood flow. Anti-inflammatory medications, such as Ibuprofen, can help to lessen the inflammation and pain.